What an interesting start we've had to the new year! It all began in the Stone age. We had a visit from a Stone age expert who brought lots of artefacts such as Stone age pots and flints. We had to work in groups to try and decide what each item was used for. Our visitor was very impressed with our answers and knowledge! We also looked at the different foods that people ate in the Stone age and talked about how they would have found them. We looked at different types of fabrics and had to choose the most likely ones that people in the Stone age would have used for clothing. Again we did a great job of this. 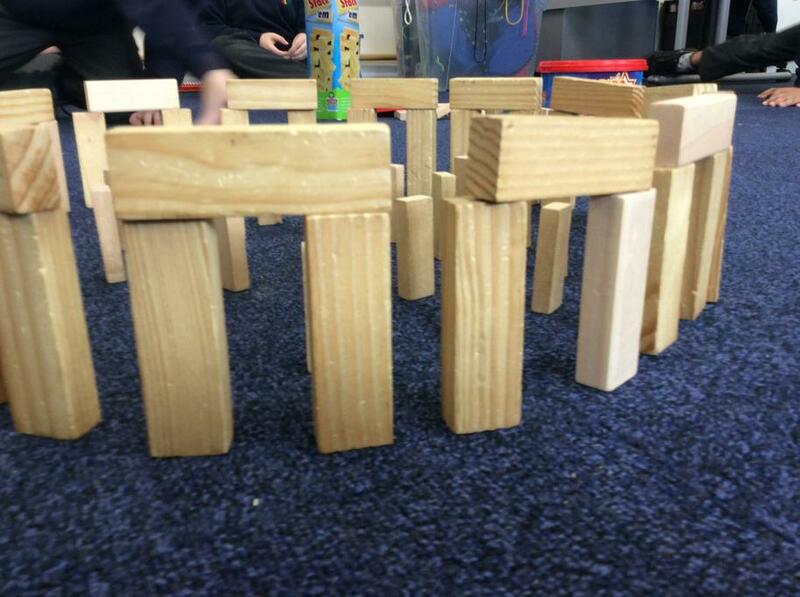 We learnt all about Stonehenge and were amazed at how people could have built it without any modern machinery. 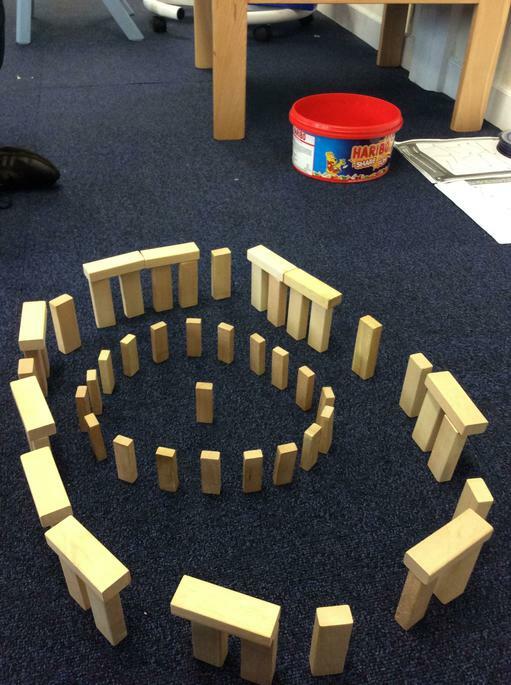 Our Jenga brick models represent this amazing structure started towards the end of the Stone age. Mrs Oakes will be the first to admit that this science topic was not as uninspiring as she first thought! We loved learning about rocks and fossils. We found out about the three different types of rock and how they are formed. We had lots of different types of rocks in the classroom and were able to sort and categorise them. Some people brought in gemstones from home. We watched a great video about a famous fossil hunter called Mary Anning and found out that she had discovered fossils over 200 years ago when she was just a little girl. We learnt about how fossils are formed by sandwiching jelly sweets between layers of bread and weighting it down over night. We can describe the difference between a cast and a mould fossil. Mrs Clark brought in a mould fossil from Germany and Isabelle brought in a cast fossil that her dad had found on the beach as a little boy. They leave a mould fossil imprint. We will be moving from the Stone age through to the Bronze and then Iron age. Watch out for our Stone age tent shelter changing into a more sophisticated round house!! 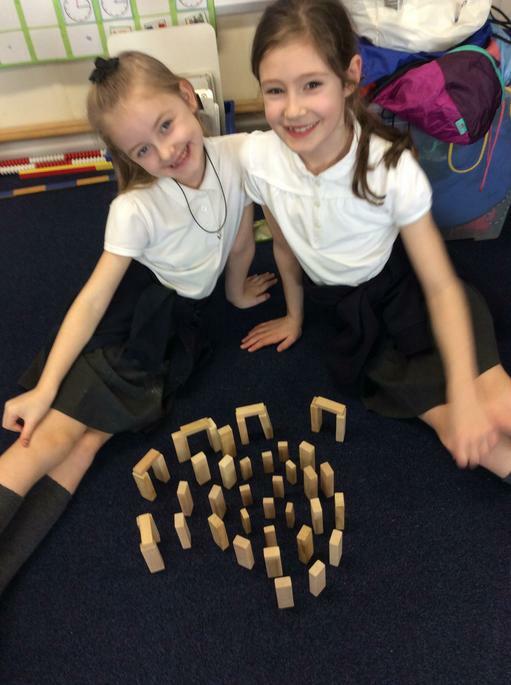 The children have all made a fantastic start to year 3 this week - Well done! We have been talking about our class rules and the new routines and times for Key Stage 2. We have read George's Marvellous Medicine and have been thinking of adjectives to describe George's Grandma. In our maths work we have been partitioning numbers and revising our 2's, 10's and 5 times tables. We have an exciting and packed term ahead. We will be looking at the illustrations of Quentin Blake as well as paintings by L.S. Lowry, and we will be drawing, painting and printing using some of the same styles and techniques. In our Science work we are going to be looking at the different food groups and the nutrients they provide us. We are learning to say different greetings and introductions in french, as well as finding out the french word for different body parts. We will be getting out and about, firstly with our forth coming visit to the Fairfield Moravian Settlement on Tuesday 18th September and later on making a couple of visits to Ryecroft Hall and park. P.E. this half term is on Tuesday and will be with Mr Rose who also teaches P.E. at Audenshaw High School. All children will need their full P.E. kit on this day. Celebration assembly is every Friday at 10.30a.m. All parents and carers are very welcome. Library day is Monday. Please ensure your child has their library book in their bag ready to change. Children should bring their home reading book to school every day as it may not be changed on the same day every week. We are sure the children will do a fantastic job of representing our class. Please see below the link to our information letter. What a fantastic time we had at the Fairfield Moravian Settlement! We learnt about different objects that were used in the past as well as seeing what a typical bedroom would look like. We were lucky to be able to dress in traditional Moravian costumes and we learnt about how the colour of the 'sisters' bonnets depended on whether they were single married or widowed. When we explored the outside area we found out about the job of the night watchman as well as where the cattle were kept overnight. When we went inside the church we learnt about the Lamb being the symbol of the Moravian church and about the different features such as the font and the organ. We were told a special secret about the organ - but we're not allowed to tell anyone! We look great in our costumes! Learning about the church and different objects used over 200 years ago. We had a lovely time all together. We made our own gifts too.